While I was in Chelsea the other day, I just had to pop into my favourite skin care shop just off the Kings Road...Liz Earle. I've tried many different products over the years including Clinique (which was probably the first premium skincare brand I ever purchased), Dermalogica, Shiseido, Dr.Hauschka and Elizabeth Arden - and although I still often vary my routine and change brands every now and then, Liz Earle Cleanse and Polish is always my fail safe. It is the most 'awarded' cleanser in the UK (100 awards to be exact!) 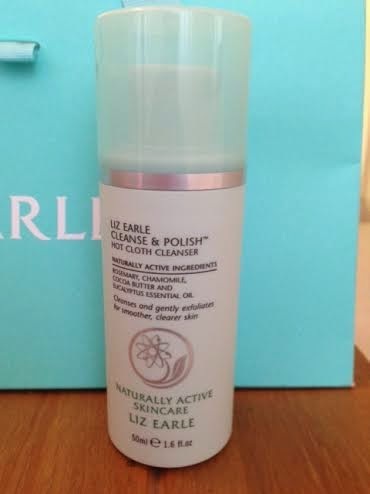 and I have found Cleanse and Polish to the best cleanser for my oily/combination skin. 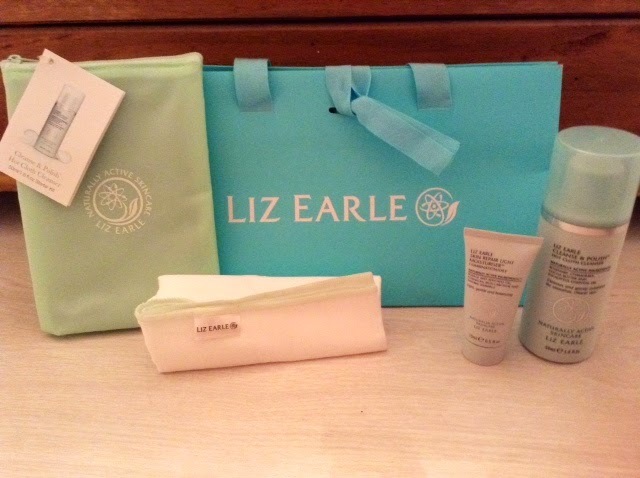 It's used with a muslin cloth which you can buy separately from Liz Earle but also comes included in the 'starter packs'. I have so many muslin cloths at home from this range as I always tend to buy the packs rather than the individual cleanser. It's really good at removing make-up, especially mascara. Many cleansers claim to do this but you still end up waking up with panda eyes or seeing the tell-tell signs on your pillowcase! Not pleasant. It works in two steps - Cleanse:- Pump the cleanser onto dry skin and massage over face and neck in circular motions (I'm getting better at remembering my neck area, especially as I get older!). Polish:- Then, rinse the muslin cloth in hot water and wring out and use it to wipe off the cream, in particular using a finger inside the cloth to get into the hard to reach areas. This is where I really feel like my skin is getting a proper clean as the texture of the muslin cloth feels slightly like it's exfoliating. You also see the remnants of your makeup etc. on the cloth. Lastly splash with cool water and dry. My skin always feels soft and smooth after use and my pores appear reduced. It's the closest I get to a flawless finish. Don't forget to wash your muslins cloths regularly in the washing machine to keep them as clean as possible. I must mention the store in Chelsea - its like a little haven. There's only one store in London and they are on Duke of York Square - a hidden little gem in itself just off the busy hustle of the Kings Road. The staff were super friendly on my visit on Wednesday and they are very knowledgeable about their product. One of the great things about visiting the actual store rather then the various concessions is that you get to benefit from the special little touches that you would expect from a flagship store. With my purchase I was offered a choice of a decent sized sample of the other products from their skincare range. 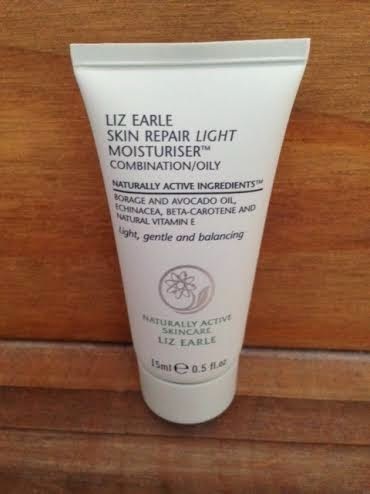 I chose the Liz Earle Skin Repair Light Moisturiser (see below). Their website also states that they offer complimentary hand and arm massages (recommend booking first to avoid disappointment, I can imagine they are very popular) and also 'Cake Friday' a weekly event from 2pm every Friday where the team serve tea and cake and answer questions...how quaint and English! After you have finished browsing the store, or maybe getting a treatment or two, walk straight over to the large Zara which includes Zara Home. It is in a beautiful building and again I would have spent a looong time in here had I not had the Chelsea Flower Show to attend! I do love Zara! Why not leave a comment and let me know what your favourite skincare brand is?